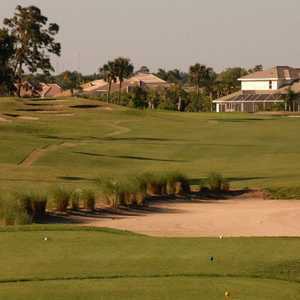 The 18-hole Manatee Cove Golf Course in Patrick AFB, FL is a military golf course that opened in 1961. Designed by Robert Trent Jones, Sr., Manatee Cove Golf Course measures 6947 yards from the longest tees and has a slope rating of 128 and a 73 USGA rating. The course features 6 sets of tees for different skill levels. Course was a pleasant surprise. Fairways and greens great shape. Pace of play was decent. Well manicured and professionally run. A very favorite course of mine to play while in the area and reasonably priced.